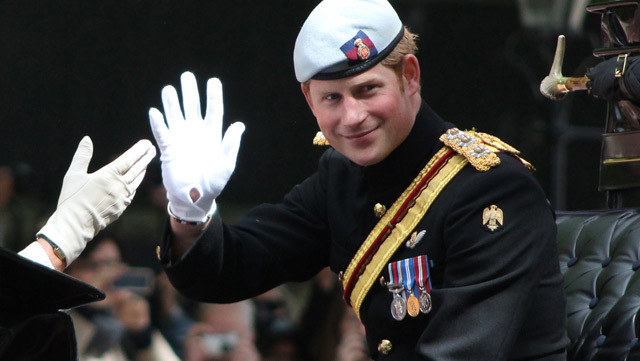 At the beginning of this year, it was announced that 29-year-old Prince Harry of the United Kingdom has taken a job as a military event planner for the British Armed Forces in London. At first glance this might seem like a strange position for a member of British royalty but this might actually be par for the course considering Harry’s past activities. According to an article by careercast.com, the top five most stressful jobs are as follows: 1) enlisted military personnel, 2) military general, 3) firefighter, 4) airline pilot, 5) event coordinator. Over the course of his career, Harry has been deployed to the front lines on 2 tours to Afghanistan; he has also been a military helicopter pilot. So it actually makes sense that, stepping into a less dangerous role, Harry is still equipped to deal with extremely stressful situations. Still not buying it? Then you are probably not an event planner. If you are, than you know how stressful it can be when you are responsible for every single detail of an event. Many people who attend events don’t even consider the amount of behind the scenes work required to be successful. There are several reasons why this job is particularly stressful but it is largely due to the fact that most events depend on the work of various outside vendors and the expectations from the event host are often very high. This can be doubly stressful in the world of trade shows and large corporate events where there are big business deals on the line and the budgets can reach well into the six-figure range and beyond. Of course, not everybody has somebody as qualified and equipped as Prince Harry to help plan their events, but if your organization is in need there are other places you can look. Here at DisplayWorks we are proud of our portfolio and of the talented individuals we employ and we make it a priority to ensure that every event, no matter how large or small, goes off with the same attention to detail and commitment to excellence time and time again. This entry was posted in Event Marketing, Events. Bookmark the permalink.